November 17, 2010 – Reasearchers trapped 38 antihydrogen atoms. It was the first time humans had trapped antimatter. 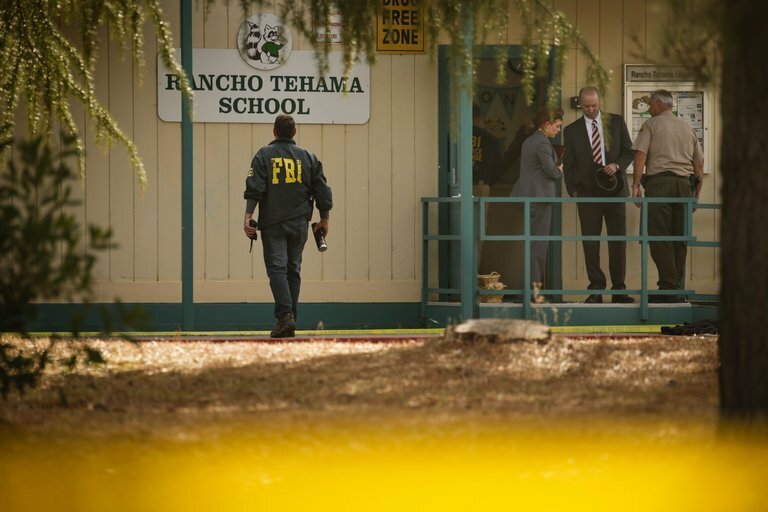 This week, a man went on a rampage in Northern California in the small town of Rancho Tehama. The gunman, it appears, was incited by a prior feud with a female neighbor. This neighbor was one of the first victims which triggered a devastating rampage leading to the shooter picking targets at random and claiming the lives of 6 (including himself) and hospitalizing 9. In a similar string of events, last week, our very own, Christian Rogers, published an article on the tragic Church shooting in Sutherland Springs, Texas. In his column, Rogers argued that any further legislation would have done nothing to prohibit the massacre. Rather, additional laws would have only made the outcome much, much, worse. What I’m talking about is the obvious, rudimentary, outright basic principle that, reducing “weaponry in our midst,” will undoubtedly, and unjustly pry guns from the law-abiding citizen, not the criminal. Almost every shooting that takes place across the Nation has 1 of 3 things in common (if not all). “There are certain people that do not need guns, and my brother was clearly one of them,” she said. So how were these two individuals allowed to get guns? The answer is: They weren’t. Under existing law, neither of these two shooters were allowed to have guns. In CA, the shooter was arrested in January for threatening his neighbors and charged with assault with a deadly weapon. Big Gov blew it! Just like the shooting in TX, the powers that be, failed to enforce the law and though he was mandated to turn his guns in, he never did so. Not to mention, the shooter in CA, had unregistered handguns (which is illegal) and also manufactured his rifle illegally (yep, you guessed it, that’s illegal too). Building on what Rogers published last week, we ask HOW WILL MORE LAWS PREVENT THESE SHOOTINGS… when we refuse to enforce the laws that currently exist. And even when we enforce them, there is always that one crazy person who will manufacture guns in his own basement. It feels good to pass laws, but all it does is restrict the hero’s among us. The Editorial Board reiterates this point. Unfortunately, sometimes, evil is a part of human nature that a fallen world must live with and accept. The only thing evil knows is strength and discipline. When we fail to punish the criminals among us, when we let them assault neighbors, bash the skulls of infants, and then wonder how they had the audacity to go and shoot people, then we only have ourselves to blame. If we were as tough on criminals as we were on the gun itself, then maybe we would at least be able to put our finger on the problem at hand (And even then, there is no guarantee). Without the first step though, only a fool will go on thinking that we are on track to solving the problem of mindless violence.